18mm top made from Grade E1 melamine faced high density particle board. Five sliding trays are included. 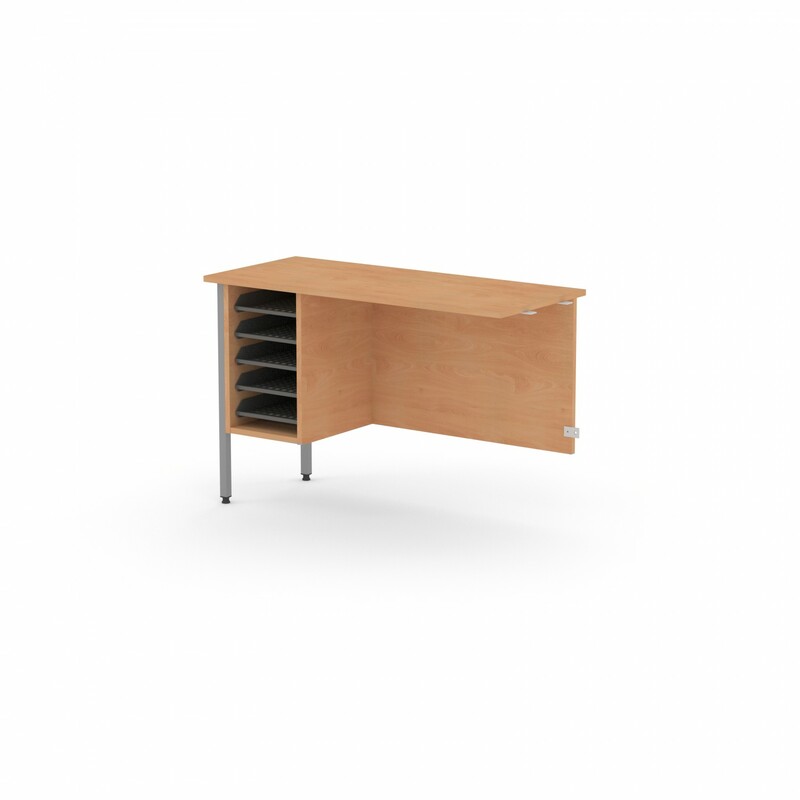 The desk return is only compatible with 1500mm and 1800mm single pedestal desks in the Galaxy range and can be positioned on the left or the right hand side.